There is one behavior in dogs that can be worrisome for pet parents. It’s called possessive aggression. It is most evident when a dog is in “possession” of something that it views as very important or very desirable. In many instances this “something” can be food, dog treat, or a favorite toy. The problem here is that its possessiveness always translates into aggression towards people and other pets. For a dog to become possessive and protective of its food and dog treat is understandable. Food is necessary for survival. When it comes toys, however, it may be a different story. Regardless, knowing how to train a dog not to be possessive of a toy or any other object is crucial. Here’s how. The very first thing you have to do is to recognize the different signs and symptoms of dog possessiveness. The problem here is that the manifestations can be so subtle that your dog may already be showing these signs without you knowing it. For instance, if your dog “ignores” your command to drop one of the best toys for dogs, this is already considered as a form of possessiveness. For most pet parents, however, they dismiss it as something not worthy of their attention. These are some of the signs that you may have to look for if you think your dog has a possessive behavior. In this command, you’re teaching the dog to ignore anything that it might view or consider as compelling or attractive. The focus of the dog should be on you. 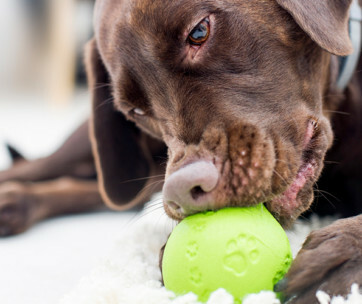 No matter how enticing the toy looks or how delicious the treat smells, your dog’s full attention is only on you. For this to work, you will need its favorite toy (yes, the one that it is so possessive about). Make sure that the toy will fit in your hand as you’ll be holding onto it and never letting go. Start with your dog in a sitting position. Present the toy in your hand. The natural reaction of the dog is to paw your hand, nibble on it, or lick it. In some instances, it may also pull on the toy. Don’t give in. 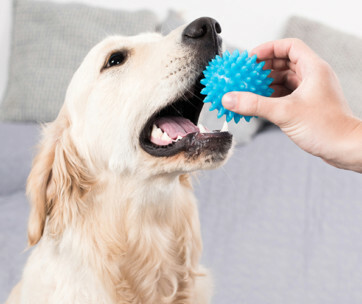 Once the dog stops trying to get the toy, mark the behavior using a verbal cue like “yes” or the sound of a clicker. 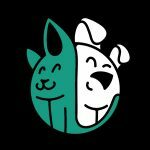 Give your dog a treat using your other hand. Remember, if your right hand is holding the toy, then you should use your left hand to give the dog treat. Repeat this training several times until the dog will no longer try to get the toy from your hand. It may take a long while, so be patient. If your dog can already resist getting the toy, you can start introducing the “leave it” command. To do this, present the toy. As you open your palm, say “leave it”. The first reaction of your dog will be to “steal” the toy from your hand. Make sure you’re quick enough to close your palm and hold the toy. Try again. Sooner or later, your pet will learn never to get the toy from your hand. If the dog ignores the toy on your open palm, mark this with a “yes” or a clicker then give a yummy treat. By the time the dog is consistent in ignoring the toy on your open palm, you can move to the next phase. Hold the toy on the floor and tell your dog to “leave it”. Mark the behavior if it ignores the toy and reward your pet. Next, place the toy on your open palm with your hand on the floor. Command “leave it” and mark the behavior if your dog chooses to ignore it. Practice this many times. The last stage in the training will require you to place the toy on the floor. Put your dog on a leash so you will still have control. Walk with your dog on a leash. 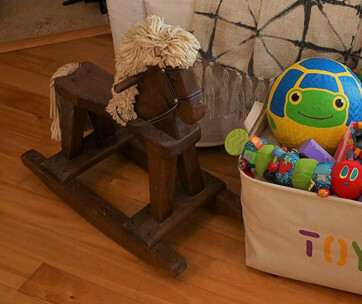 Toss the toy on the floor or have someone place it some distance from the dog. Your pet will pull its leash towards the toy. It’s a natural reaction. If you see this, issue the “leave it” command. Mark it and then give the treat. With constant practice, your dog will ignore the toy every time you toss it on the floor and issue the command. In many instances, your dog will look at you, expecting a much better and tastier reward. This command is almost the same as the “leave it” command, except that you’ll be teaching your pet to release the toy it is holding in its mouth. Let your dog play with its toy for a few minutes. While the dog is playing, hold a treat right in front of its nose. This will get its attention. It may drop the toy and reach for the treat or hold onto its toy. 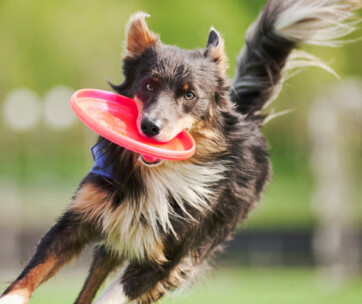 If your dog’s possessiveness is still not very strong, there’s a strong chance it will drop the toy. The moment it releases the toy, give the treat. Repeat this several times until your dog is consistent in dropping the toy every time it’s presented with a treat. Now, introduce the “drop it” command. Present the treat in front of your dog, then say the command. Over the course of several training sessions, gradually increase the distance between the treat and your dog. 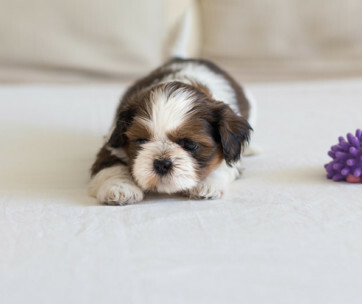 Always use the verbal cue and check if your pet will still drop the toy. Always praise your pet if it complies with your command. Some say that the “trade” command is a cousin of the “drop it” command. This is useful in cases where the dog doesn’t want to “drop” whatever is in its mouth. The key here is to use an object that is more enticing or is a “better” resource than the object that the dog is guarding. Hence, if your dog values its toy a lot more than its treat, then you’ve got to find another object that is more “valuable” than its toy. For most dogs, however, a special yummy treat often does the trick. Teaching the “trade” command is almost similar to the “drop it”. The only difference here is that you will be giving your dog its favorite toy back once it’s done with the “traded object”. For instance, if it drops the toy and you give the treat, you should take the toy and hide it in your back. Once your dog is done with the treat, present its toy back and say “take it”. What you’re teaching the dog is that it can enjoy both its good stuff (its toy) and a better stuff (the yummy treat). By the time your dog is consistent in dropping the toy so it can enjoy the treat, you can start issuing the “trade” command. This is the verbal cue that the dog needs to learn. When you give the “trade” command, your dog will drop the toy because it is expecting a yummy treat. It is clear that teaching your dog the “leave it”, “drop it”, and “trade” commands will only work on dogs with mild to moderate possessiveness. 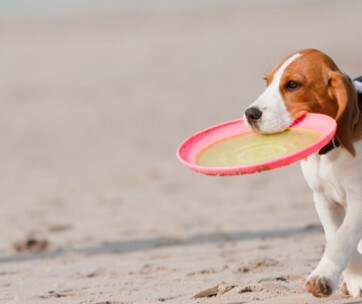 For dogs that are very possessive of their stuff, you may need the help of professional dog behaviorists. You can still perform desensitization and counter-conditioning on your dog. However, keep in mind that the training can run for several weeks up to a few months. Patience is critical and so is consistency. The idea here is to teach the dog not to react to a given situation or a specific object. It sounds simple enough. but you’re talking about a dog that can show aggression if you take away its prized toy. Hence, it is best that desensitization and counter-conditioning be left to the pros. If your dog is showing signs of possessiveness, it’s not yet too late to retrain it. However, in cases of severe possessiveness, you’ll have more peace of mind if you enlist the help of a professional.